The theme of the 6th Athens Biennale is “ANTI,” and this edition of the event features works by around 100 Greek and foreign artists in which they offer a distinct, idiosyncratic and uneasy screenshot of our political, social and cultural momentum. This time around, the venues of the Biennale are in the vicinity of the Old Parliament near Syntagma Square. They are TTT (15 Stadiou), the Benakeios Library (2 Anthimou Gazi), the former Esperia Palace hotel (22 Stadiou) and the former TSMEDE building (4 Kolokotroni). 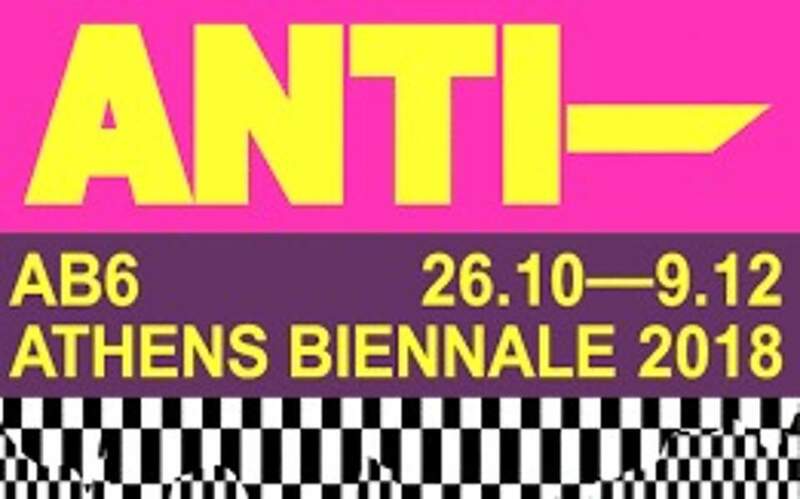 The opening days are Friday, October 26 (2-10 p.m.), Saturday, October 27 (12-10 p.m.) and Sunday, October 28 (12-10 p.m.), during which the participating artists will launch “ANTI” with a diverse program of side events, including performances, talks and more. For more information, visit athensbiennale.org.